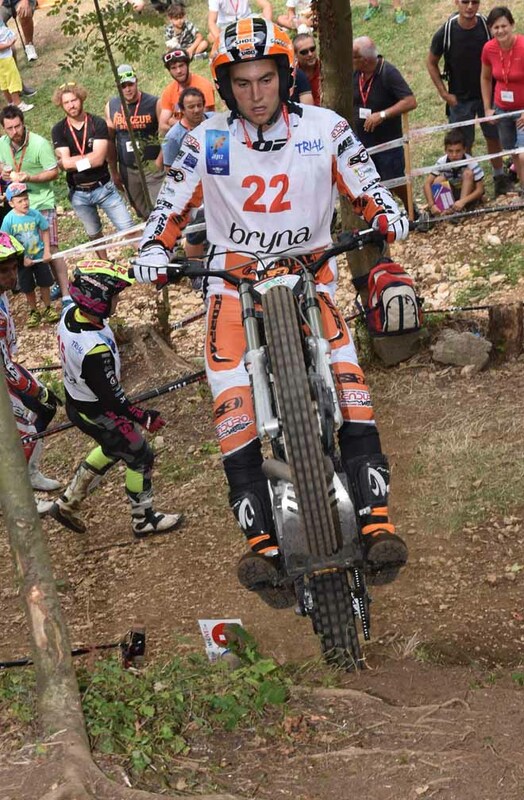 Bou clinched his 20th title! 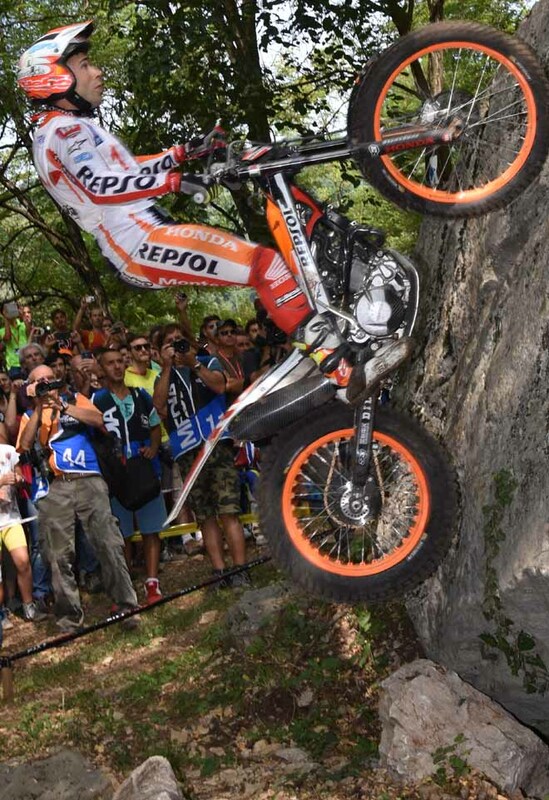 Toni Bou – Repsol Honda stormed to an incredible tenth consecutive FIM Trial World Championship with a crushing victory on day one of the final round of the 2016 season staged at Chiampo in North-East Italy today. 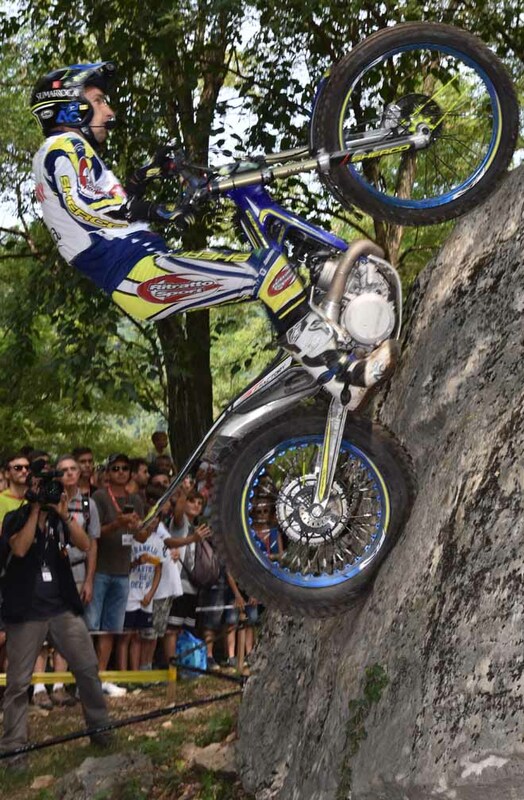 The title exactly matches the Barcelona star’s ten consecutive FIM X-Trial World Championships to make a grand total of twenty FIM individual World titles. In a very difficult Trial, staged in temperatures exceeding thirty degrees, Bou dropped just thirteen marks over the twelve section course which was lapped three times. 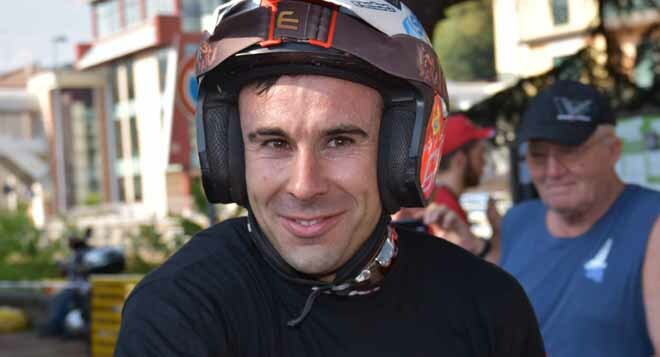 In contrast his only rival for the crown, fellow Catalan Adam Raga – TRS, finished on fifty-six marks while third placed Jeroni Fajardo – Vertigo was another thirty marks in arrears on eighty six. Bou was the only rider to log single figure lap scores and he did this on all three circuits, his first lap of five including one time penalty followed by laps of two and five in one of the most dominant displays ever witnessed, even by his own incredible standards. 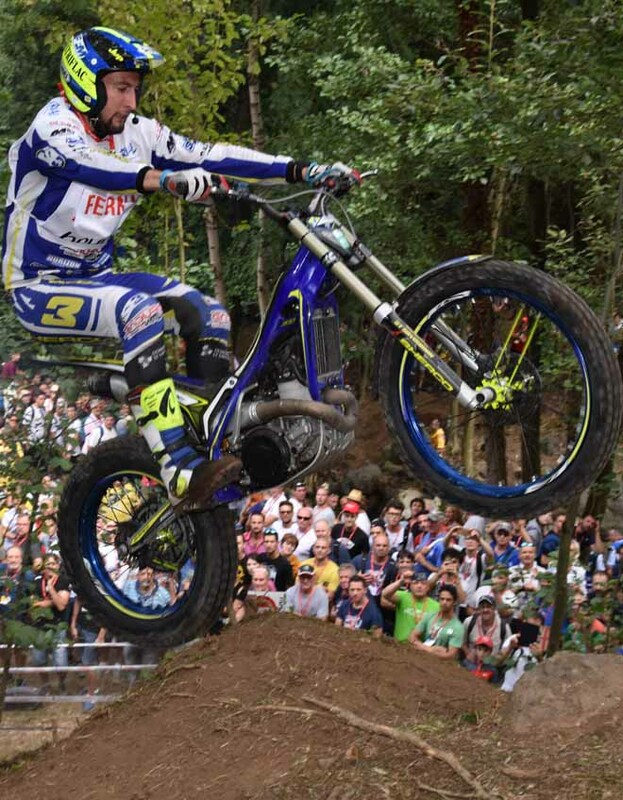 The first two places in the 2016 FIM Trial World Championship are now secured as Raga was already assured of the vice championship, but third place is still up for grabs tomorrow as Albert Cabestany – Sherco, fourth today, now just eleven points behind injured Takahisa Fujinami – Repsol Honda who could only finish sixth on the day. 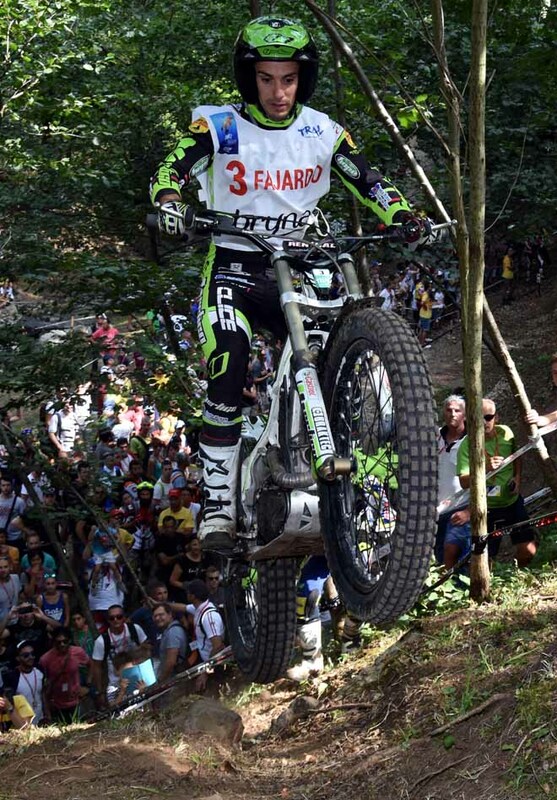 Should Cabestany falter, Fajardo is now just ten points shy of the Sherco rider and could still take fourth in the championship tomorrow. 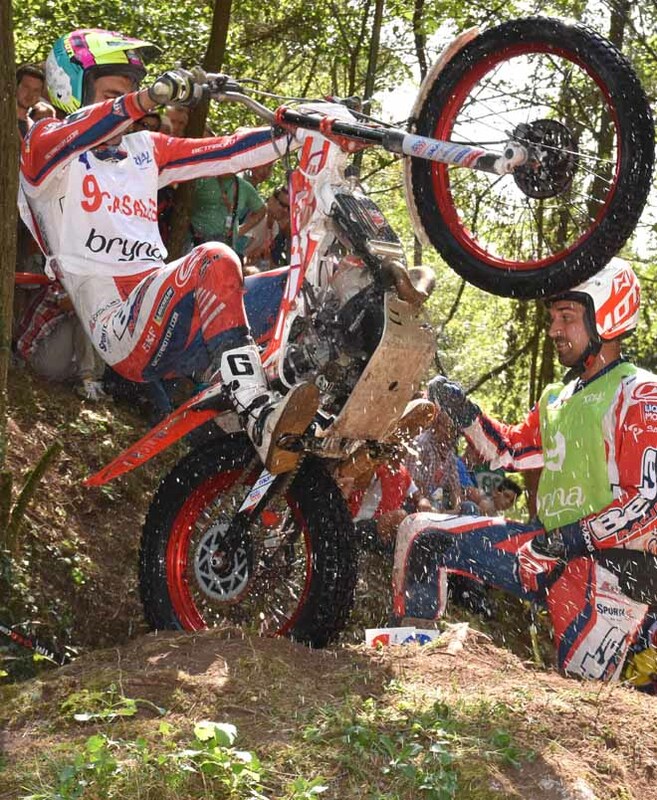 With Britain’s Jack Price - Gas Gas having already taken the title, there was an incredible three way tie with Britain’s Dan Peace –Gas Gas, Spain’s Arnau Farre – Gas Gas and French rider Gael Chatagno - Sherco all finishing the day on thirty five marks lost, the most cleans tie-break seeing them finish in that order. 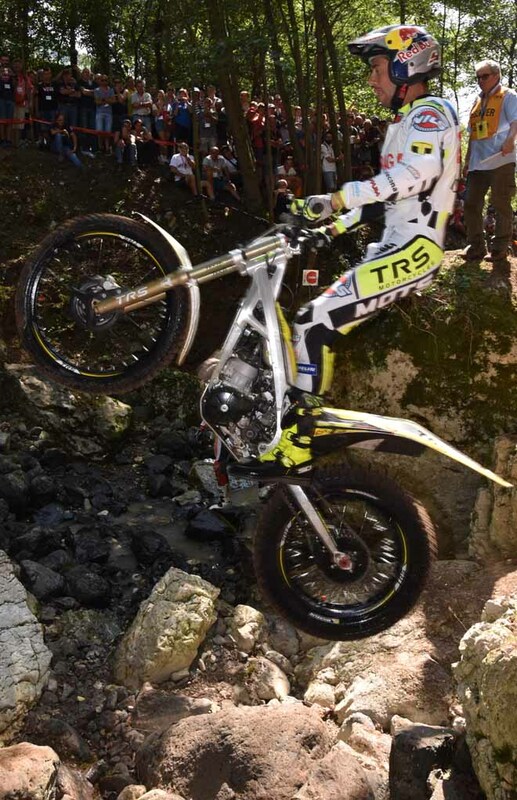 Iwan Roberts – Beta, currently second in the series, finished fourth, with Luca Petrella – TRS the first Italian rider in sixth place. 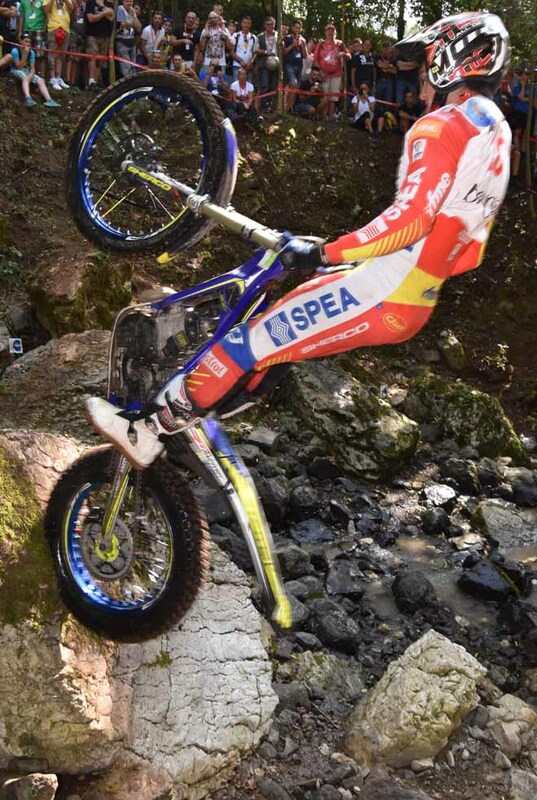 With two drop-scores to take into account after tomorrow’s final day of competition the final Trial2 podium places are still very much to ride for between Roberts, Farre, Peace and Chatagno. 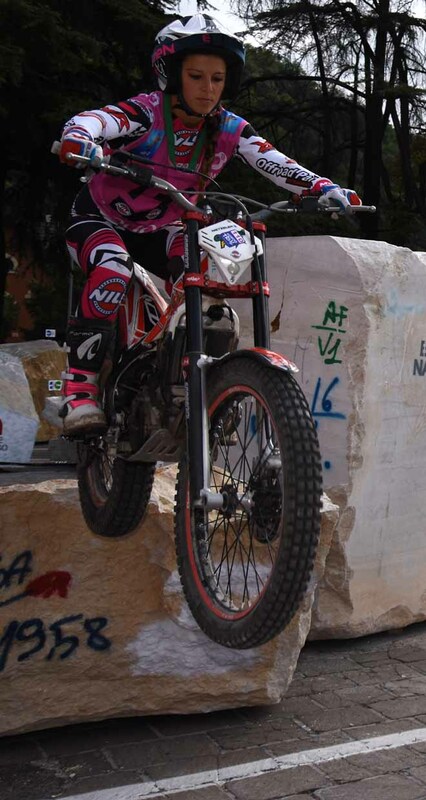 With Trial125 series winner Jack Peace - Gas Gas having moved up to Trial2, scoring a single championship point in fifteenth place, there was always going to be a new winner and there was an Italian one-two finish as Lorenzo Gandola – Scorpa took a clear victory from Mirko Spreafico – Gas Gas with Spaniard Eric Miquel –Sherco third. 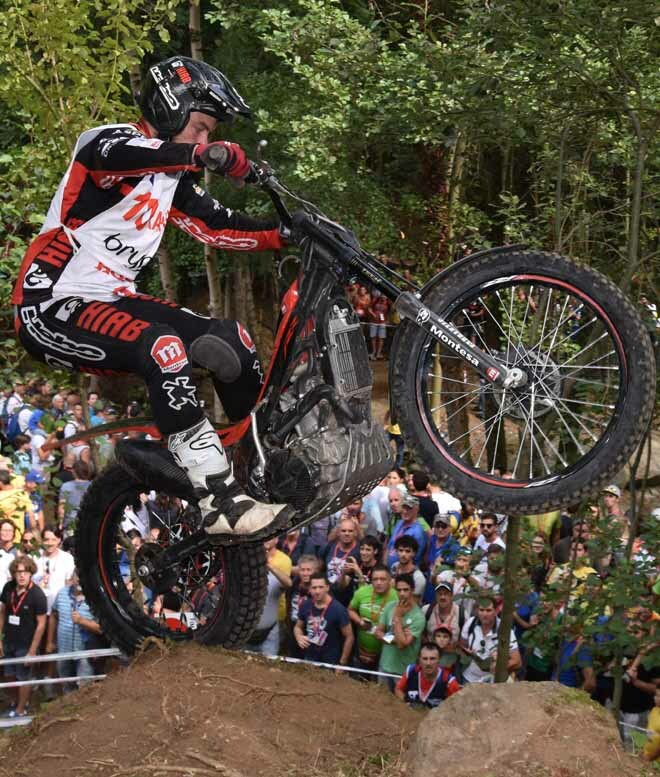 The final round of the 2016 FIM Trial World Championship takes place at the same venue tomorrow. 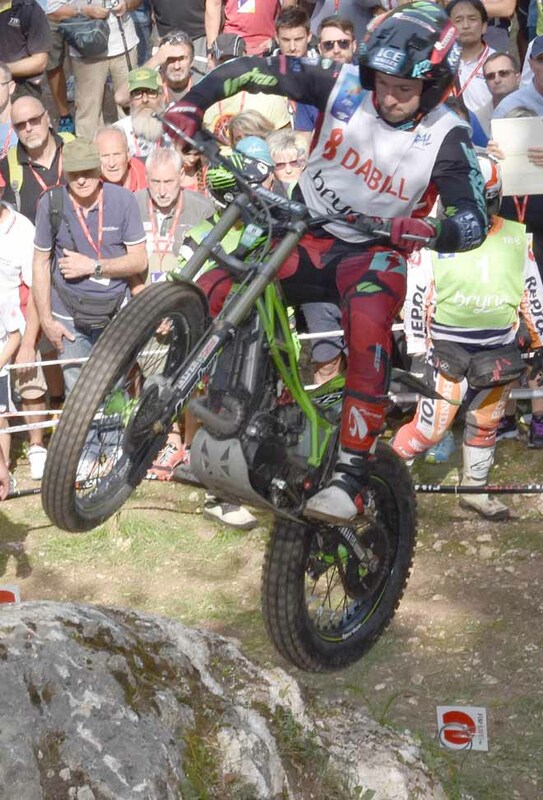 Finally in the Trial125 class the host nation’s hopes rest with Paul Mehu - Beta and Kieron Touly – Sherco as the 2016 FIM Trial World Championship returns to France yet again this weekend to continue its long history with the series. 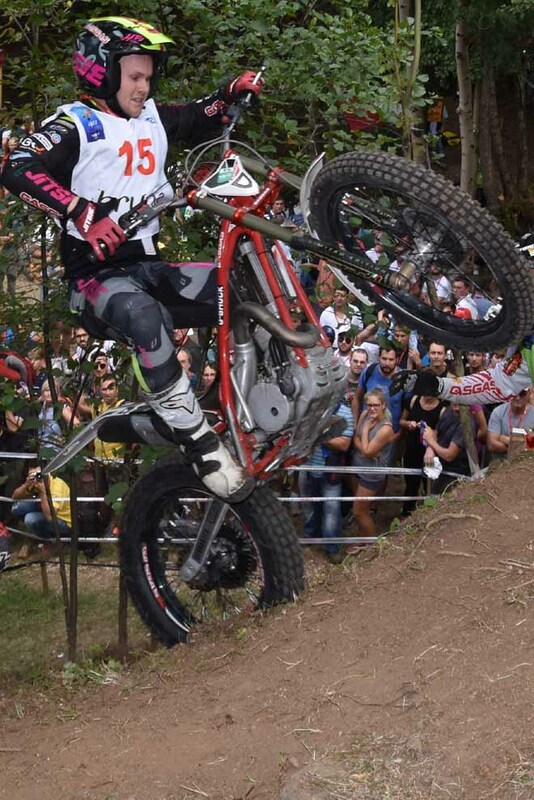 Reigning title holder Britain’s Emma Bristow –Sherco extended her lead in the 2016 FIM Women’s Trial World championship by taking her third straight win, following up on a double win in her home round in Yorkshire back in July, with victory on the opening day in Chiampo, Italy today. 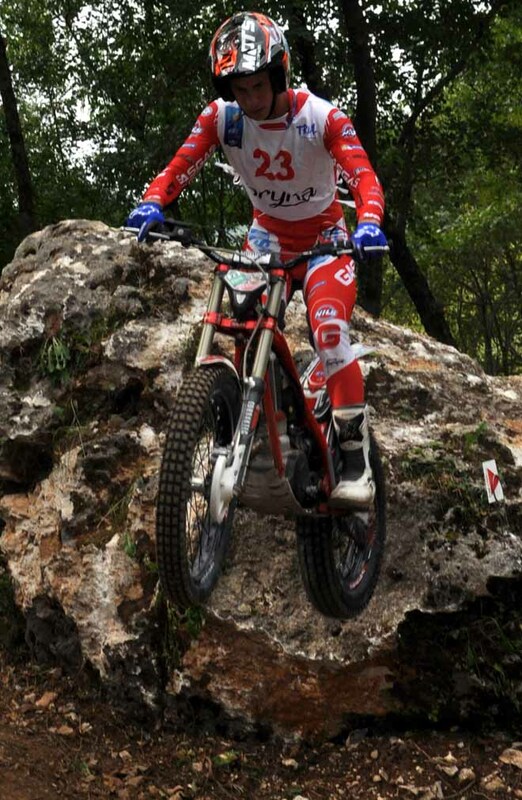 Sandra Gomez – Gas Gas and Theresa Bauml –Beta completed today’s podium respectively. 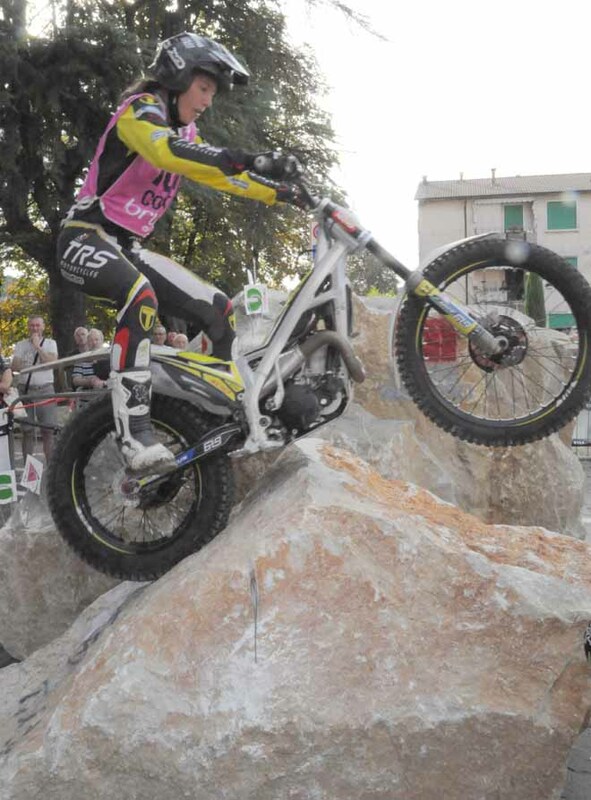 With the weather in Italy scorching sunshine, and with the temperature as high as thirty two degrees, the Women’s event was run in conjunction with the final round of the FIM Trial World Championship, but the girls tackled two laps of fifteen sections against the men’s standard three laps of twelve hazards. The event comprised a single opening section in the town, where the paddock and headquarters were housed, with the main group of fourteen hazards set some eight kilometres away, the Women’s extra three hazards were interspersed en route. 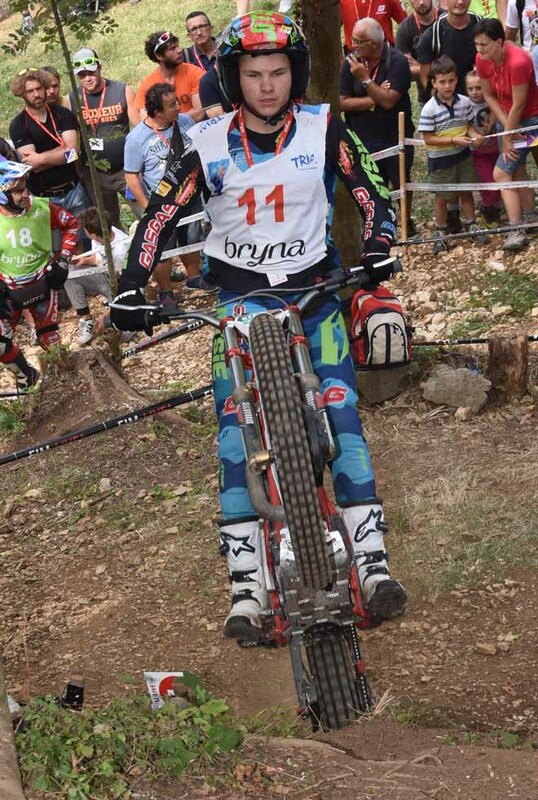 Bristow actually trailed Spain’s Gomez, the twenty-three year-old from Madrid returning to the Women’s series proper after missing the back part of last season through injury, on the opening lap after conceding a five mark maximum penalty in the eleventh section. 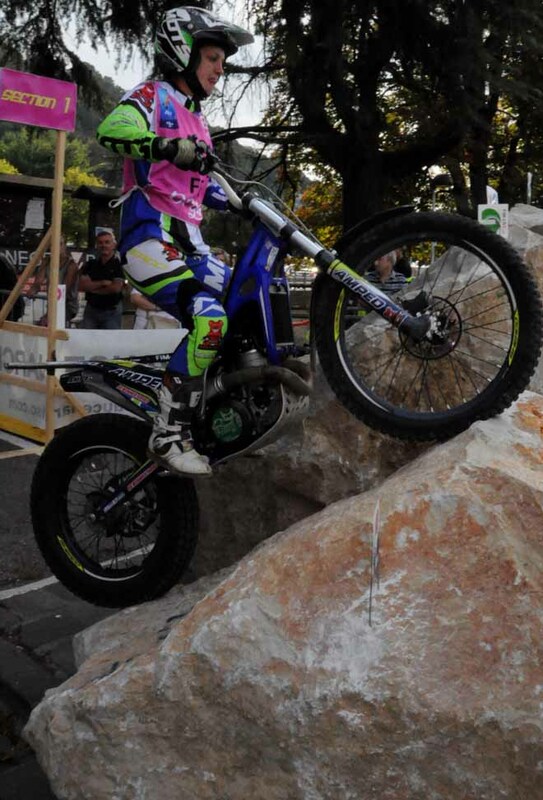 This hazard was cleaned by eventual second placed Gomez and German teenager Theresa Bauml -Beta who claimed the final place on the rostrum, the second of her career. 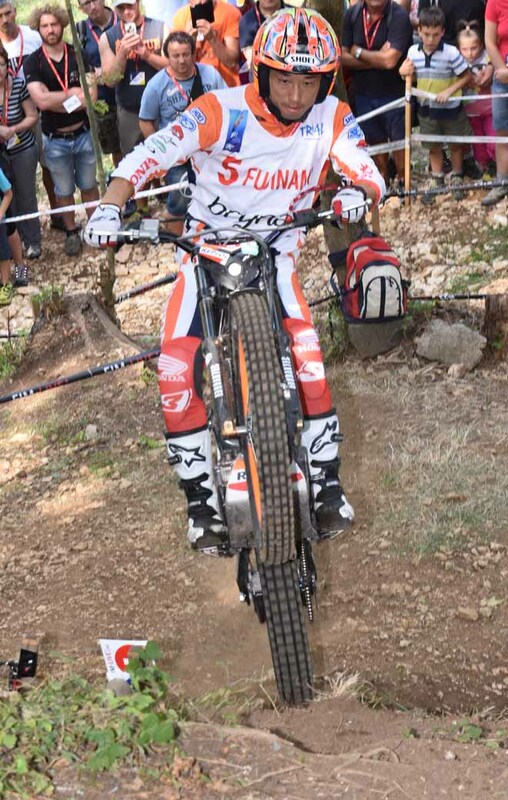 After the unexpected maximum, Emma dropped just one more mark for the lap, in the very last section, to finish the opening circuit on six marks against just five for Gomez. 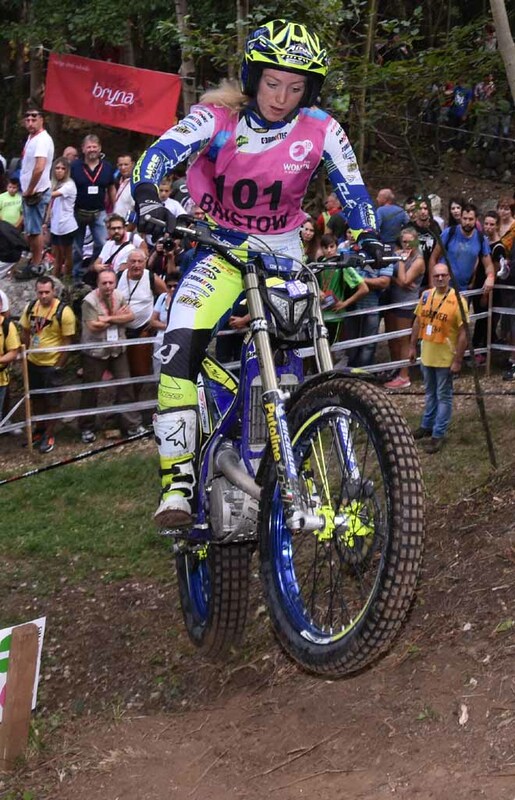 But the FIM Women’s Trial World Champion came back strong to drop just a single mark on her bogey section, eleven, second time round with Gomez dropping a late five marks in section thirteen and having to give top position to Bristow. 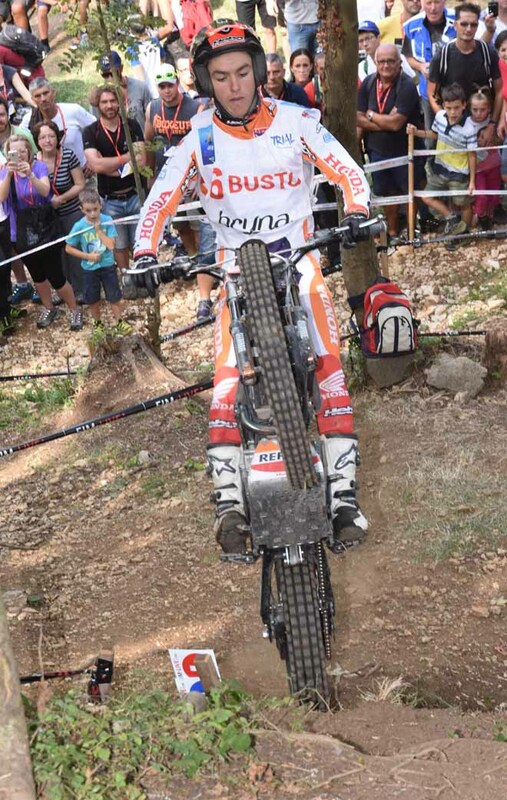 Bauml posted two consistent laps of thirteen marks to just hold off German team mate Sarah Bauer – Sherco on a tie-break, twenty cleans to seventeen. 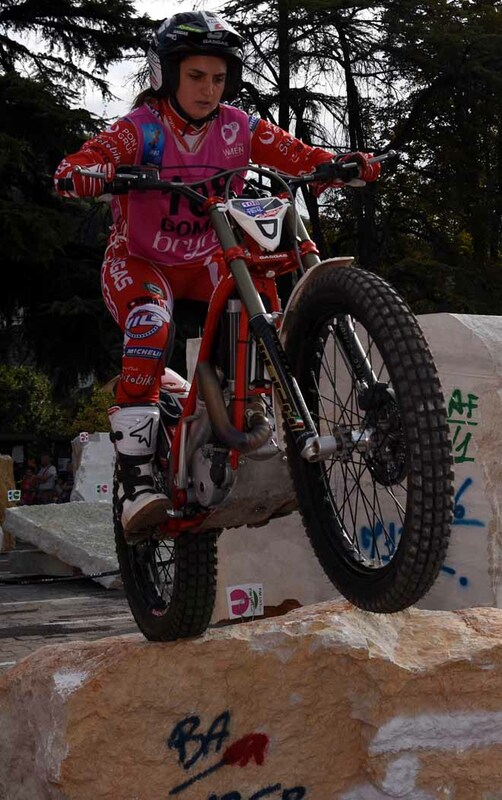 Britain’s Becky Cook - TRS, the current vice champion, was disappointed to be excluded from third place on a technical infringement when her machine was found to breach the minimum weight limit following a random inspection part way through the competition. 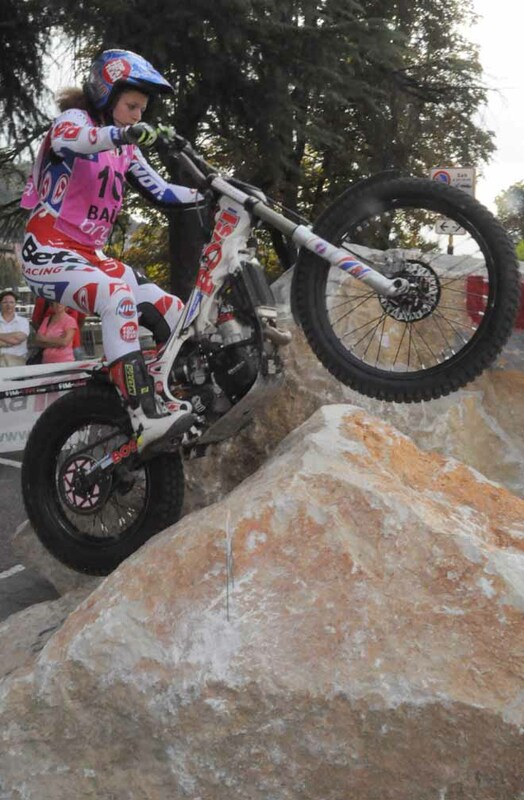 Current World number three, Britain’s vastly experienced Donna Fox – Sherco, in her final FIM Women’s Trial World Championship campaign, just held off Spain’s Mireia Conde – Beta for fifth, nineteen cleans against eighteen after both dropped twenty-eight marks. 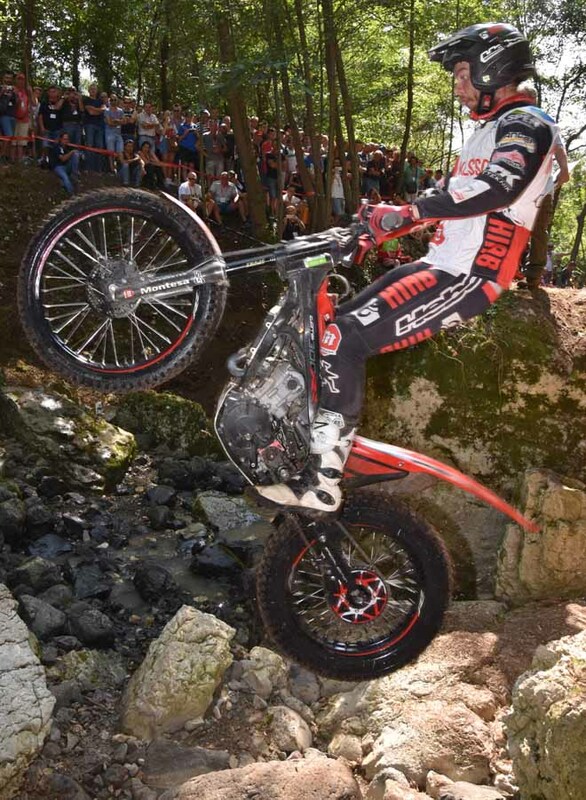 Just a single point behind was top Italian finisher Sara Trentini – Beta in seventh, ten marks clear of yet another tie between Spanish teenagers Mario Giro - Montesa and Alberta Abellan – Beta, the latter not able to match the form that earned her a podium place in England. Bou incamera il suo 20-esimo titolo!